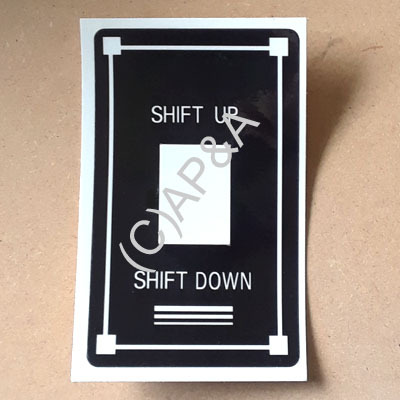 Reproduction decal for the ball shooter shifter handle used on Williams Getaway pinball. This decal mounts around the shifter handle on the front of the game and can be used to cover up damaged/faded original artwork. Shifter handle must be removed/reinstalled for proper installation.